Every October, the finest artists compete to create the best taco uniting in their love for tacos. The festival is held for two days at Salt River Fields. There are a variety of tacos available from the finest establishments including El Hefe, Dos Gringos, Wasted Grain, and Salty Senorita. You can also find a number of events here including taco eating contests, tequila expos, expos, live music, and a Chihuahua beauty pageant. And, with all this, you can hold on to your tacos and watch wrestlers in the Lucha Libre Wrestling. Each month on a Friday, art lovers are drawn downtown by First Friday Art Walk- one of the biggest such events in the country. The event highlights self-guided tours through downtown Phoenix cart studios, galleries, innovative spaces and is devoted to uniting artist, public, and organizations for a more prominent comprehension, appreciation, and promotion of human experience to develop a strong and vital arts community. The festival runs the entire month of October, and it’s held in the northern city of Dewey. It celebrates family-friendly activities such as barn dances, pigs and dogs race, Punkin Chunkin art, etc. Apart from farm animals, there are several other activities to enjoy here like going on treks, exploring the bounce area, zip lining, etc. The farm is a good place to pick up fresh food in season as the crops are grown here. So, while you’re here, you could enjoy organic food with your family! This Arizona Fall Fest is hosted at Hance Park in early November, all about eating and drinking local food and beverage. The festival is a free and family-friendly celebration to have fun. If you are a foodie, you will get to explore food from many of the finest restaurants around, including food samples, dishes, and drinks from over 200 vendors. You can also get to discover your taste buds at beer and wine garden, booths selling local items, with lots of live entertainment. There’s also a game-filled kid zone. 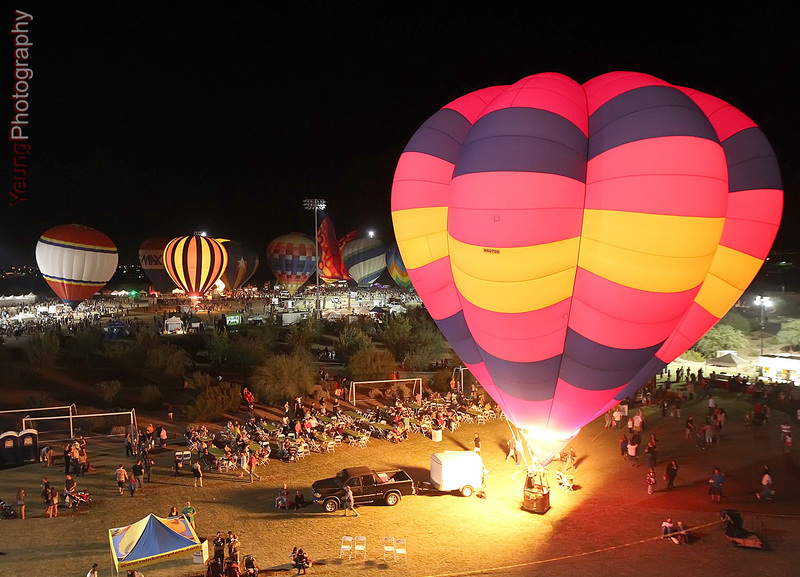 The festival is one of the biggest Balloon festival hosted yearly during the lead up to Halloween. It’s helped at Saltwater fields, the most popular venues in Arizona. Since this festival is the same time around Halloween, there are lots of Halloween-related festivities too, including costumes and candy. There are a number of activities hosted including the pumpkin patch, firework shows, live music, and a haunted trail. The highlight as the name suggests the festival has more than 20 hot air balloons in attendance. While Arizona has so much to offer, what are you waiting for? Come and experience the thrill and excitement that you have been missing out till now!